This post is the first in a series that will highlight talented educators across the U.S. who inspire their students and colleagues each and every day to learn new languages. Each post will feature a teacher I’ve met in person or through Twitter (follow me @kellycondon) who inspires me to be better at what I do. In this post, I interview Nathan Lutz, an elementary French teacher in New Jersey. While Nathan and I have never met in person, we exchange best practices and teaching strategies online. Check out my virtual interview with Nathan below! What and where do you teach? I teach French to students in junior pre-K (age 3) through grade 5. Our preschool is co-ed and our school from K-12 is for girls only. I am also my school’s Global Learning Coordinator (junior pre-K through grade 12). I’ve been teaching for 20 years. I speak English, French, and Spanish. I’ve dabbled in German and Italian. When did you first become interested in language learning? I grew up in Louisiana and the babysitter I had in third grade was of Cajun descent. Her father spoke Cajun French and I was obsessed with learning how to talk like him. My mother checked out three French language learning books from the public library to help me on my quest. As you can imagine, it didn’t work out. I wasn’t afforded the opportunity to learn a second language until 8th grade – and I chose French. I fell in love with French culture and pined to travel to France. Why do you believe it is important to learn a second language? Language is the thing that connects people. We have a lot of turmoil in our world and the way to overcome it is to bring people together – to talk it out and to get to know one another. This could be on the kindergarten playground or at the United Nations – but it’s communication that makes things happen. What makes a language classroom unique from other subjects? Language is a skill that is acquired rather than a subject that is learned. It takes a long time, a lot of messy constructions, and a lot of practice before the user has refined her use of the language. Language, as a discipline, is also unique in that it transcends dimensions. Each user of a language has unique interests and needs – and the development of her vocabulary and structures is dependent on those unique factors. Students will often ask me things like “How do you say ‘narwhal’ in French?” I answer, “I don’t know. I’m not interested in them.” (I know how to say “narwhal” now!). Language learning does amazing things for a learner’s brain. Learning one second language opens up neural pathways to make other language learning possible. It stimulates parts of the brain responsible for problem solving. Learning a language makes one more empathetic to others. The cognitive and social-emotional benefits are huge! What do you love about the language you teach? I love the cadence of French. It has a melodic flow. It sounds corny to say this, but it really is such a poetic language. But the most compelling thing is that it is the gateway to French culture, which I love so much. Without access to the language, one cannot truly understand the culture. How do you teach about culture in your classes? Culture is such an important part of language. It’s what hooked me as a student. Making culture accessible for novice level learners can be overwhelming for some teachers. Instead of huge overt culturally-focused lessons, I embed cultural elements in all that we do. So if we are learning about pets, we’ll look at pet-related authentic resources from the target culture. What in teaching are you passionate about right now? I am really excited about all the creative ways students have for expressing themselves! When I give open-ended assignments, I look forward to the work students bring in – fancy slideshows, movies, 3D projects, you name it! But whatever the medium, they know they have to show their language proficiency. At the end of a long day, what do you do to relax? I like to pop open a LaCroix water and walk my three dogs. I’ll allow myself a little trashy television around dinner time, but then I always seem to have work to do in the evening as well. How do you assess students on their proficiency levels? In junior pre-K through Kindergarten, we do a lot of informal observation of students’ abilities to follow directions and demonstration of other comprehension-based indicators. With my older students, with obviously more developed skill sets, we assess across all the skills they develop in the course – their reading, writing, listening comprehension, and interpersonal and presentational speaking. What is one of your goals for next year? Next year I’d like to use more authentic resources with my younger learners. I manage fairly well with my older elementary students, but the younger ones are tricky! Nathan is also the President of NNELL, The National Network for Early Language Learning. You can follow Nathan (@nathanlutz) on Twitter here. Do you know a teacher who deserves to be featured on our site? Fill out the form below to nominate someone who inspires you! I have been aiming at a 90% target language classroom all year long. It has been a goal of mine. This goal has not weakened but strengthened the relationships I have with my students. We bond over the language. Whether they’ll admit it outloud or not, my students really enjoy that I push them to use only Spanish. Children yearn to be challenged. When we set high expectations, they reach them. They act things out and they use the words they can use to describe the things they can’t. Their personalities really come out when they try to communicate in their second language. Not to mention, their kindness shines as they help one another with finding the right words. A 90% target language is built on trust. My students trust that I am not going to give them a task that is too challenging for their proficiency level. I trust that they are going to attempt and try to communicate with me in Spanish as much as possible. Trust is key to building any relationship including that between teacher and student. A 90% target language classroom does not limit student/teacher relationships from forming but, rather, allows them to grow stronger. This is so false and it grinds my gears when I hear a teacher say this. We do a disservice to our students when we wait to speak completely in the target language until they have achieved a higher proficiency level. Profiency can come a lot faster when you keep to the target language. I know two teacher friends of mine, Dorie (@doriecp) and Julie (@mundodepepita) who both took the leap to go 100% with their first graders this year. Their students don’t even know they speak English and so if their kids want to communicate with them, they have to use Spanish. What I keep hearing from them is that it has WORKED. Their students have come to understand that Spanish is the expectation and they’ve decided to rise to the occasion. The learning shows that it is working. If we think about how we learned our second, third, of forth language…and I mean really learned it, we were probably in some sort of immersion setting. For me, my Spanish was “formalized” when I was put in a situation when I needed to use it for survival. When I studied abroad in Spain and met people who didn’t speak a lick of English, I knew if I was going to build a relationship with them Spanish was going to be the agent for me to do so. That’s what really motivated and pushed me to dig deep into my brain and find the vocabulary and words I knew to say what I needed to say. I wasn’t able to use a translator and I wasn’t able to use my native tongue. This myth was hard for me to stop believing at first. I had a hard time at first with establishing and maintaining good classroom management in Spanish only because I knew I was capable of doing it better in English. What I came to realize was that it wasn’t that I could do it better but faster in English. It may take a while for your students to learn key phrases in Spanish related to rules and routines but when after these are established, they work just as well as they would in English. If you establish these at the start of the year, then you really can create a classroom environment where students are held accountable. This is where visuals are KEY. Create classroom posters or use hand signals as reminders to students about your expectations. If they have not mastered the phrase “sientate” but see a picture of someone sitting, they are going to be successful without the need for English. Yet again another myth I struggled to overcome myself as I transitioned to a 90% target language classroom. I have written another blog post you can read here that talks about the motivator I am using successfully in my classrooms to keep students in the target language. I highly suggest you read this post if you believe this myth. In short, I’ve implemented a simple PBIS-like system in my classroom that rewards students for using the target language. I am thrilled with the success of this system and can’t recommend it enough. Everyday I am impressed by the organic language that my students are producing because they are motivated and encouraged to do so. FALSE. FLASE. FALSITY FALSE FALSE FALSE!! YES YOU CAN! 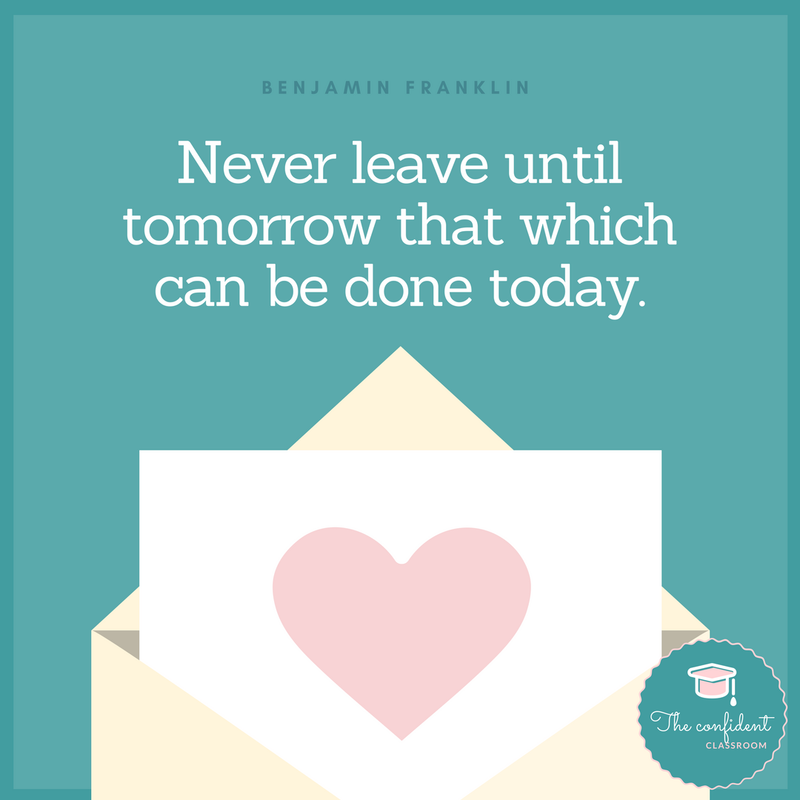 The sooner you commit to it and the sooner you tell yourself you are capable of doing it, the sooner you will see results in your students’ proficiency! Get out of your own way! If you’ve been waiting for someone to give you the pass to try 90% target language in your classroom, consider this it. Just like you tell your students, the more that you do this the easier it is going to become. There will be bumps in the road and there will be days you are exhausted and don’t want to spend 5 minutes trying to tell your students to take out their scissors and cut the paper you handed to them. But those days will be limited and that 5 minutes will become increasingly smaller the more that you do this. It is going to become easier for you and your students as you try new communication techniques. yOu will find some things work and you will find others don’t. You are going to fail and you are going to struggle. Through that failure and through that struggle you are going to find out what does not work so you can discover what can. And maybe that’s something different for every one of your classes if you are like me and teach 11 different groups of students, and that’s okay. Like individuals, classes are unique so what works for one class or one grade level may not work for another class or another grade level. The only way you are going to find that out is if you try. If you don’t even try you are not going to find out if you can do it. So there you have it. Five myths about a 90% target language classroom officially DE-BUNKED. Do you have other myths about a 90% target language classroom that ought to be busted? Have a success story about how you transitioned to teach with 90% target language? Leave your thoughts in the comments below! A teacher wears many hats. She is always juggling three or four things at once. If you teach, you know what I’m talking about and are probably saying to yourself “three or four, try ten or eleven!”. It’s our responsibility to stay on top of things and make sure nothing falls through the cracks. This can be very demanding and overwhelming at times, especially if organization falls to the wayside. 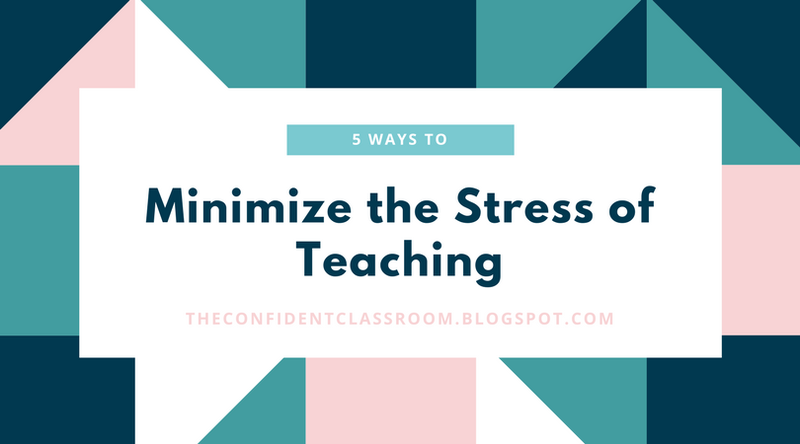 One of the tips I include in 5 Ways to Minimize the Stress of Teaching is to keep email organized. I want to tell you today how I do just that. I have a category to fit every email I receive. As I said before, I wear a lot of hats and so I have a LOT of categories. They include: office, tech notes, 3rd grade, 4th grade, 5th grade, emails from my principal, emails from my vice principal, emails regarding various councils I am on at my school and a few more. As an email comes in, I decide what to do with it: filter now or filter later. Some emails I can filter right away. For example, if I get an email about an upcoming assembly, I will make note of the date and time in my planner and then filter this email. This kind of email doesn’t require me to respond, and so it doesn’t need to live in my inbox. You wouldn’t leave read mail in your mailbox, so why leave read email in your inbox? So, why might I wait to filter an email? Let me give you an example to explain. If I get an email from my department head asking when I can meet with him, I will keep this email in my inbox until I’ve responded. Maybe I am reading it quickly before my next class and don’t have time to type out a response right away. Since I don’t want to forget to respond, I leave the email in my inbox as a reminder that I need to take action. After I’ve responded, I will filter the email into a category. In this example, I have a category specifically for emails from my department head. When I filter emails, it feels like a weight is lifted off of my shoulder. It’s one less thing I need to think about and remember to do. Once the email is filtered, it’s no longer taking up space in my inbox and distracting me from other things I need to get done. It’s important to remember: filter later doesn’t mean filter never! If you leave too many items in your inbox, you will get bogged down by them and it will be unclear which items you’ve tackled and which ones you haven’t. This is how things fall through the cracks and that is no bueno. At any given time, I will have no more than five or six emails in my inbox. It’s my ongoing “to do list”. Before I leave work every day, I make sure my inbox is completely cleared. This gives me a great sense of accomplishment and I feel relaxed knowing that no tasks are following me home or into the next school day. If you want to know whenever I post new content, be sure to subscribe to my blog! It’s hard to be an effective teacher without the proper resources. Many school districts run on tight budgets and asking administration for money is not always an option. 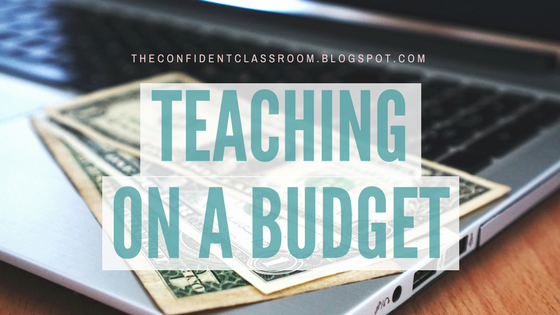 So how can you provide your students with what they need and avoid breaking your own bank? Read on to learn some of the ways I’ve made it work for me! When you’re looking to make a purchase for your classroom, explore your options! The Dollar Store and Target Dollar Spot are great places to find cheap items for your classroom. I usually hit up these spots if I’m looking for holiday pencils, class prizes, or classroom storage. I also stock up on items that I know I need when they are on sale. 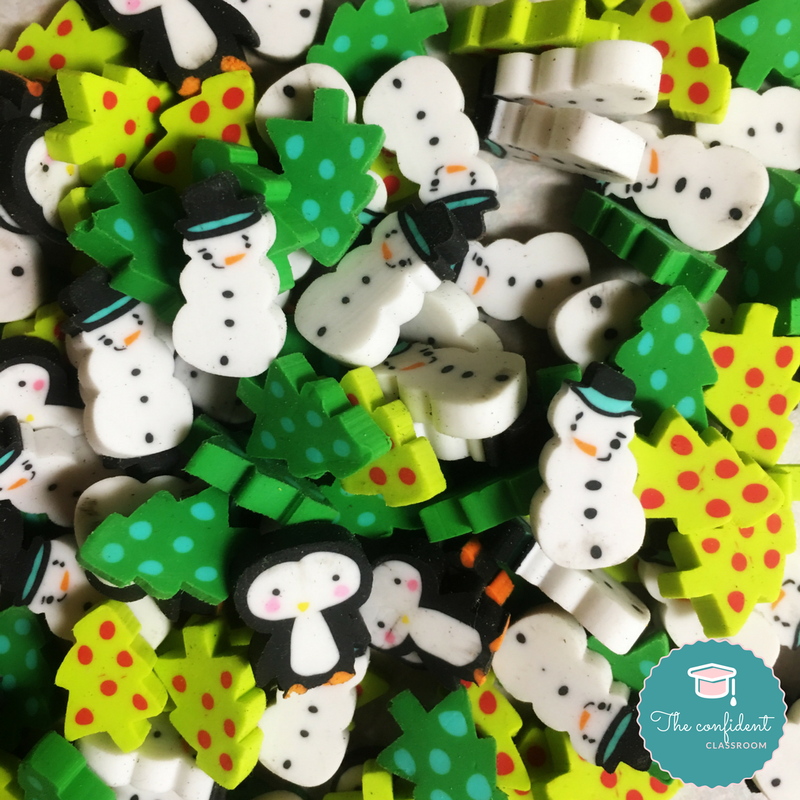 Two winters ago I bought mini snowman erasers to give out to my students before Christmas vacation. They were $1 for a packet of 100 so I decide to buy a bunch. I’ve had enough to last me these past two years and they still bring a smile to my students faces when I hand them out as little Christmas gifts. I haven’t had to make any purchases since that trip to Target two years ago. Like all of us, my budget is tight around the holidays so this has really saved me. Another place I shop quite frequently is Amazon. I use Amazon all the time because of the convenience. I don’t need to physically go somewhere to shop. I can do it from my computer or my phone, and since I have Amazon Prime, the item comes within two days. I’ve recently discovered that for certain items Amazon will give you the option to buy used. The used items are given a rating and sometimes a few comments on their condition. I bought my laser pointer presenter used from Amazon and saved $16. It arrived in its original packaging with the instruction manual and everything. If I didn’t know I bought it used, I wouldn’t be able to tell. Click here to read about why I think using a laser pointer in class can relieve stress. There are many ways teachers can get funding for projects in their classroom. Most school districts have a PTO or equivalent organization that provides yearly grants for teachers. These grants can range from small amounts ($50) to very large amounts ($1000+). The trouble is, they aren’t always publicized well. At my school, there is an organization that will provide grants to teachers for “intensive study”. At first, I had no idea what this meant. It wasn’t until I spoke with a colleague that I found out “intensive study” could include anything from attending a weekend conference to traveling abroad to study the culture of another country. When I found this out, I decided to take a chance and apply for the grant. I was thrilled to find out my proposal had been accepted and the organization was going to to help fund a summer trip to Peru to work with teenage moms who had been abandoned by their families. It was an incredible experience and one that I would not have been able to afford on my own. A lot of my colleagues were surprised to hear my trip was going to be partially funded by this organization because many of them (who have worked at the school longer than me) didn’t even know the grant program existed. So do you research and ask around! There are opportunities out there looking for you to take advantage of them. If you are looking to get funding for supplies in your classroom that are outside of your budget, consider creating a Donors Choose project. Donors Choose helps teachers create requests for necessary classroom materials. With the click of a button, families can donate however much they want to help fund your request. Once the request is funded, Donors Choose sends the materials to your school! 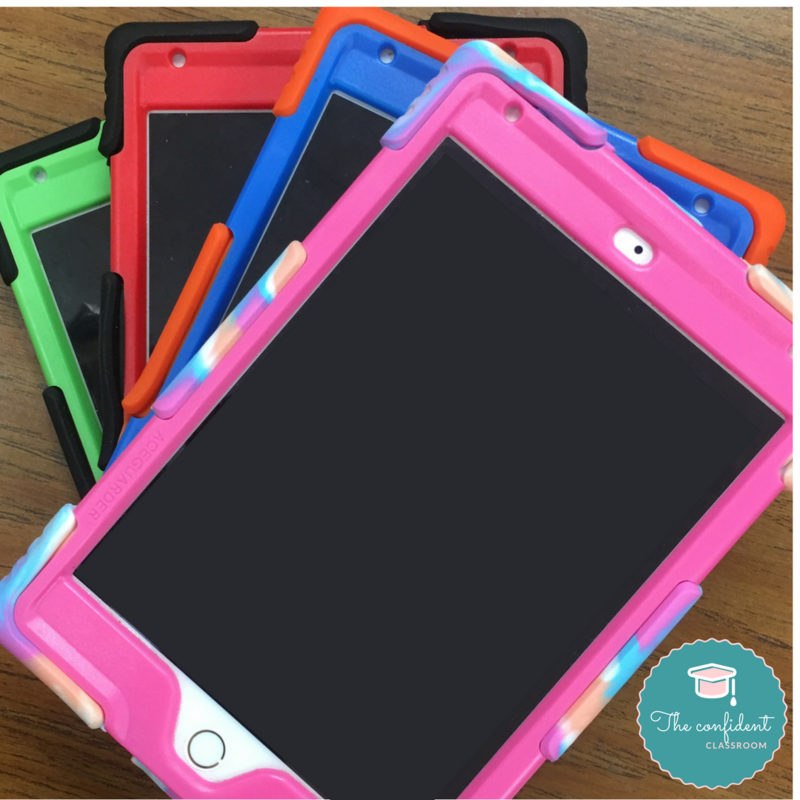 Last year, I was able to fundraise enough to purchase 4 iPad minis with cases to use with my classes. Since it was my first project on the site, Donors Choose agreed to match every donation I received within the first two weeks. That meant if I received enough donations, I only needed to raise half of the cost! I let parents know about this opportunity and had my project funded before the two weeks were up! It was amazing to see how eager parents were to help create this opportunity for their children. Other teachers in my school have used Donors Choose to receive Chromebooks and other items for their classroom with just as much success. Do you know other ways teachers can save big? Comments your ideas below! Like most teachers, my schedule is very hectic to say the least. I teach 11 different classes and each class meets three or five times a week, depending on grade level. I don’t have my own classroom and am constantly on the move. In total, I work with over 250 students in any given week. That’s 250 different personalities, different needs, and different proficiency levels. So how do I keep stress to a minimum? Read on to find out! Tip #1: Get yourself a planner, and USE IT! I’m putting this one first because it is the most important. My planner is my holy grail. Without it, I am completely lost as a teacher. I write down everything in my planner. I know a lot of teachers who will use the standard planner provided by the district at the beginning of the year and it works well for them. But for me, I want my planner to be bright and exciting to look at. Afterall, I’m going to be using it every day. I’ve fallen in love with the Erin Condren teacher planner and continue to use it each year because it works for me. Receive $10 off when you buy using my link! The monthly view is where I can write down things like meetings, assemblies and school vacations. So I won’t miss anything, I transfer all of these dates to the weekly view as they come up. 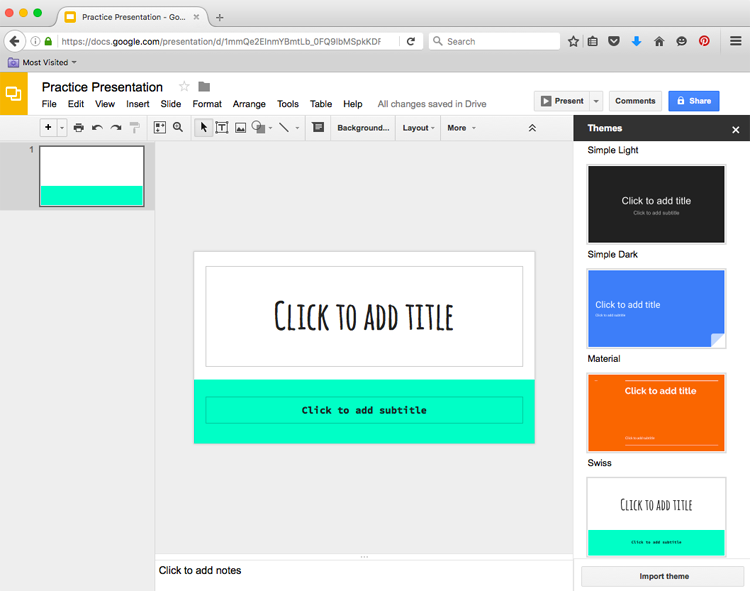 Tip #2: Use Google Slides to document your lessons! While I love my planner, I don’t want to have my head down every time I need to know what comes next. I recently saw a teacher using Google Slides as a sort of menu for her classes and I decided to try it out for myself. The next day, I created a slideshow of the lesson I was teaching to each grade. I projected the slideshow in the front of the room so both my students and I could see them. The slides were simple. One said “Vamos a leer un libro” (We are going to read a book) with a picture of a boy reading a book. Another slide said “Vamos a cantar” (We are going to sing) with a picture of music notes. With the click of a mouse, my students and I knew exactly what was coming next. I’ve started to use this technique every day and my students really like it because they know what’s about to happen. I really like itbecause my students are a) reading Spanish, b) recognizing that I plan lessons every day (not just pull ideas out of nowhere), and c) staying in the target language more than before. Since I am a traveling teacher, writing down a daily schedule on the board is not an option. I would need to do this eight times a day. I love using Google Slides because I don’t need to carry around a memory card since everything lives in the cloud. All I need to do when I enter a classroom is log in to my Google account and everything is there for me. I am looking forward to next year when I’ll only need to tweek the slides from this year. This is another tip I picked up from a teacher I observed recently. If you’re going to adopt the GoogleSlides method, you’re going to need this lazer pointer presenter or an equivalent. With this, I am able to change slides from anywhere in the room. It is fantastic! Before, I would be chained to the computer at the front of the room. I couldn’t easily monitor my students behavior and, at times, they took advantage of this. My classroom management has drastically improved because of this tiny little controller and yours will too. I’m serious. I’ve seen teachers use a wireless mouse as well. The second greatest thing about this tool is the laser pointer. I use a LOT of visuals when I am teaching Spanish. It is easier for me to maintain 90% TL when I am using visual aids in the classroom. I can use the laser pointer from anywhere in the room to point out something on the board. I don’t need to run back and forth to the board, tiring myself out and creating a more stressful classroom environment. This flexibility allows me to move around the room how I want, helping students along the way. If this hasn’t convinced you enough, think of how excited your students will be when they find out you have a laser pointer and think about how much fun it will be to use it in your teaching! 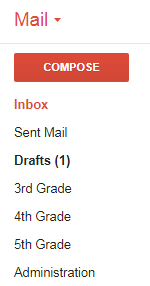 I have a category to fit every email I receive. At this point, I have a LOT of categories (more than shown in the picture! and they include: office, tech notes, 3rd grade, 4th grade, 5th grade, emails from my principal, emails from my vice principal, and emails regarding various councils I am on at my school. As an email comes in, I decide what to do with it: filter now or filter later. If I need to take action or respond, I will leave the email in my inbox to filter later. For example, if I get an email from my department head asking when I can meet with him, I will keep this email in my inbox until I’ve responded. Maybe I am reading it quickly before my next class and I don’t have enough time to check my schedule and get back to him. I don’t want to forget to respond so I leave the email in my inbox, knowing that I will see it there later in the day as a reminder to respond. Every time I open my inbox, I will see the email there and know I still need to respond. After I’ve responded and written down the meeting in my planner, I will filter it to a category. It’s no longer taking up space in my inbox and distracting me from other items I need to attend to. Some emails I can filter right away. For example, if I get an email about an upcoming assembly, I will make note of the date and time in my planner and then filter this email to the appropriate category. This kind of email doesn’t require me to respond, and so it doesn’t need to live in my inbox. You wouldn’t leave read mail in your mailbox, so why leave read email in your inbox? At any given time, I will have no more than five or six emails in my inbox. It is my ongoing “to do list”. Before I leave work every day, I make sure my inbox is completely cleared. This gives me a great sense of accomplishment and I feel relaxed knowing that no tasks are following me home or into the next school day. Tip #5: Eat that Frog! I saw this image on Instagram recently and fell in love with its message. I have started to apply this mentality to my work and personal life and it has (so far) been successful. I am happier, calmer, and able to get more done in less time when I decide to just do it rather than wait. I am the queen of procrastination and always put things off until the last minute. This leaves me feeling stressed and anxious. If I need to photocopy something for work, I’ll wait until right before the class to do it. It’s not that I don’t remember I need to photocopy, it’s that I know there is still time to do it. But that whole time I am not doing it, I am thinking about how I need to get the photocopying done and it keeps me from focusing on whatever other task I’ve decided to do instead of photocopying. When I finally get around to it, I get anxious that something is going to go wrong. In this example, I worry that I’m going to find the copy machine is broken, or there is a line, or maybe I’m going to run out of paper half way through the job. These worries and anxieties can be applied to any task, business or personal. Grading, calling a parent, making lunch for the next day, laundry….you name it! We put these things off and then stress about doing them last minute. Instead of waiting, do these things first! Eat that frog! I hope these tips help to relieve unnecessary stress in your work life. Thanks for reading! Thanks for reading! Have other tips you want to share? Leave them in the comments below!